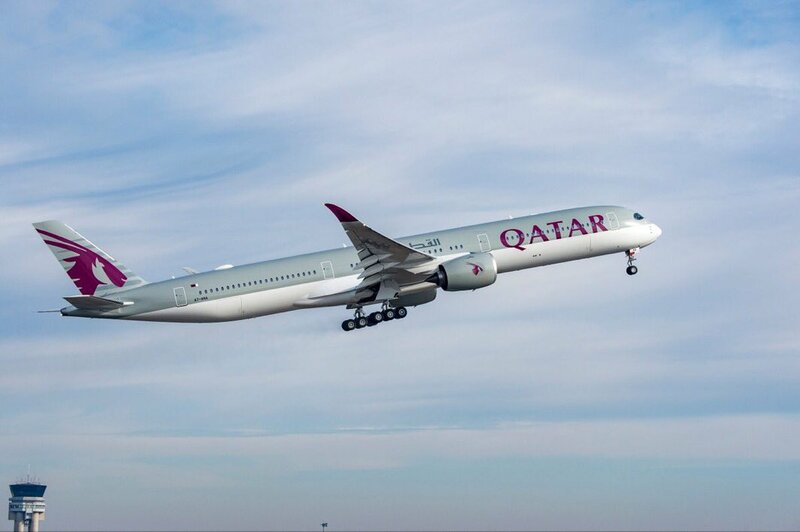 From the 28th October this year, Doha based Qatar Airways will be flying its new ultra-modern Airbus A350 into New York JFK, the airline has confirmed this week. It will be the first US commercial route the aircraft has been assigned to by Qatar Airways on a regular basis and the airline hopes will attract even more passengers to the super efficient jet and the service to Doha. The airline already operates the A350 on daily non-stop services between London and Doha as was the launch customer for the world’s most advanced passenger aircraft. The A350-1000 offers a total of 327 seats across two cabins, with 46 award-winning Qsuite Business Class seats and 281 18-inch extra wide Economy Class seats. The aircraft provides enhanced levels of passenger comfort, thanks to the lowest twin-engine noise level of any aircraft, advanced air conditioning technology and full LED mood lighting. The Business Class experience, Qsuite, which offers the industry’s first-ever double bed in Business Class, as well as privacy panels that stow away, allowing passengers in adjoining seats to create their own private room, a first of its kind in the industry. Qsuite is currently available on flights to and from JFK, as well as Washington, D.C., Chicago and Houston. Qatar Airways currently serves 10 cities across the US, including Atlanta, Boston, Chicago, Dallas-Fort Worth, Houston, Los Angeles, Miami, New York, Philadelphia and Washington, D.C. The award-winning airline provides double-daily flights from New York’s JFK airport. Like the A350-900, more than 70 per cent of the A350-1000’s lightweight airframe is made from advanced materials combining composites (53 per cent), titanium and advanced aluminium alloys. The aircraft’s carbon fibre reinforced plastic fuselage results in lower fuel burn, as well as easier maintenance. The A350-1000 also features a distinctive all-new, six-wheel main landing gear and four per cent larger wings.